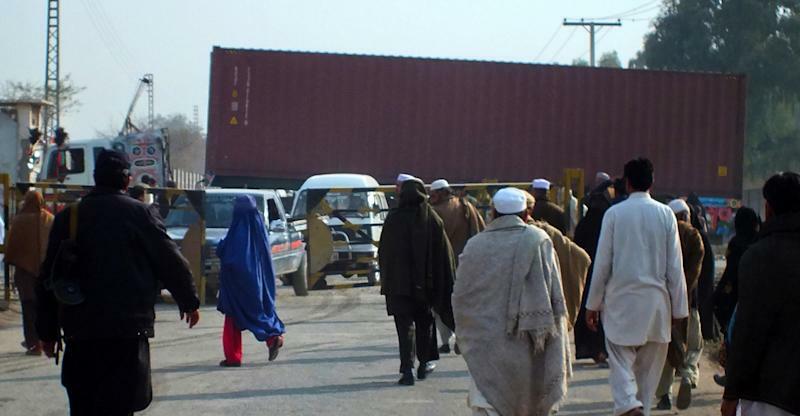 KABUL, Afghanistan (AP) — The United States began its withdrawal from Afghanistan in earnest, officials said Monday, sending the first of what will be tens of thousands of containers home through a once-blocked land route through Pakistan. The shipment of 50 containers over the weekend came as a new U.S. commander took control of U.S. and NATO forces in Afghanistan to guide the coalition through the end stages of a war that has so far lasted more than 11 years. The containers were in the first convoys to cross into Pakistan as part of the Afghan pullout, said Marcus Spade, a spokesman for U.S. forces in Afghanistan. Marine Gen. Joseph Dunford, meanwhile, faced his first headache just one day after taking command, after an Afghan government panel acknowledged that detainees taken off the battlefield by coalition and Afghan troops face widespread torture at the hands of local security forces — although it denied systematic torture in government-run prisons. Dunford's predecessor, Marine Gen. John Allen, had urged the Afghan government to investigate allegations of detainee abuse. Allen also had to deal with the delicate task of improving relations with Pakistan, which closed two key land routes from Afghanistan to its southern port of Karachi to all U.S. and NATO cargo for seven months. The Pakistani move came in retaliation for U.S. airstrikes that killed 24 Pakistani troops at a post along the Afghan border in November 2011. Islamabad reopened the route after Washington apologized for the deaths. During the closure of the Pakistan route, the U.S. had to use a longer, more costly path that runs north out of Afghanistan through Central Asia and Russia. The U.S. has also used that route to withdraw equipment — but not at the pace it wanted because of the length of the process. Defense Secretary Leon Panetta said last year that the rerouting was costing the U.S. more than $100 million a month. 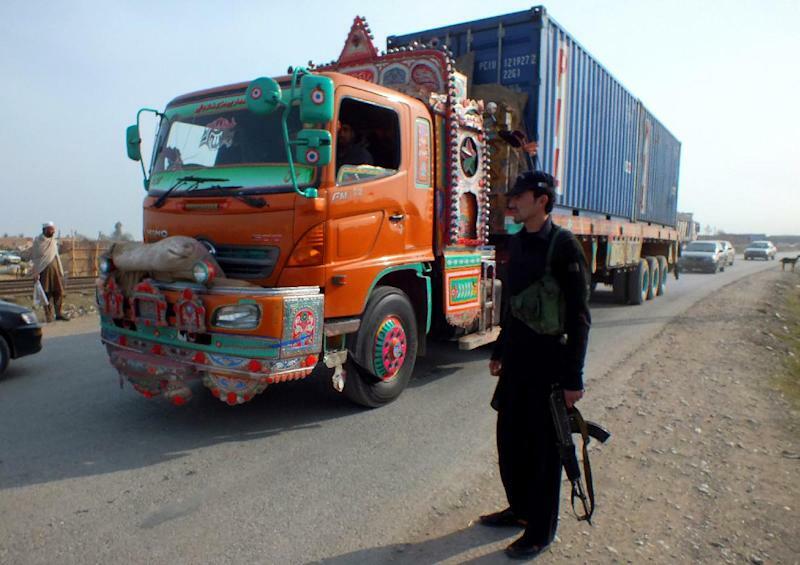 It's unclear what took the U.S. so long to begin withdrawing equipment through the Pakistan route, which runs south out of Afghanistan to the Pakistani port city of Karachi. Supplies have been flowing into Afghanistan since the route reopened in July 2012, and the U.S. signed a new deal with Pakistan governing the shipments that same month. There have been temporary disruptions at several points since then because of security concerns and strikes by truckers over compensation. The abuse allegations are just some of the diplomatic land mines that Dunford will have to deal with as he guides the coalition through its final 23 months in Afghanistan. Most foreign combat forces will leave at the end of 2014, and those that remain will do so after separate agreements are made with the Afghan government. U.N. complaints about the torture of detainees in Afghan facilities last year prompted the U.S.-led NATO coalition to stop many transfers of detainees to the Afghans, a key part of the transition process. The planned transfer of the Parwan detention facility at Bagram from the United States military to the Afghan army has also been delayed, apparently because of administrative problems. Afghan President Hamid Karzai has for months demanded the full transfer of the facility, threatening not to sign a bilateral security agreement with the U.S. if the handover doesn't take place. That agreement is key to keeping military forces here after 2014. The majority of the prison was handed over with much fanfare last September, but the two sides remained locked in a dispute over the fate of hundreds of Taliban and terror suspects behind bars. The United States is withholding the transfer of scores of inmates, reportedly out of concern that Afghan authorities may torture some or simply let some political detainees go for reasons of expediency, and no longer hold dangerous prisoners without charge. Dunford also has to oversee the drawdown of about 100,000 foreign troops, including 66,000 from the United States, and make sure that the newly recruited and trained Afghan security forces are capable of taking the lead for their country's security in the spring. Although Afghan security forces are almost at their full strength of 352,000, persistent violence and insider attacks against Americans and other foreign forces have raised concerns about whether they are ready to take on the fight by themselves. But the issue of detainees is more immediate. Transfers were halted in October, when the U.N. shared its preliminary findings with the military coalition. "We have only stopped transferring some detainees to certain Afghan facilities," said Jamie Graybeal, a spokesman for the international military alliance in Kabul. "The Afghan government has stated its commitment to upholding its human rights obligations and we remain committed to working together with the International Community to support them in their efforts to tackle this difficult problem. " Issued last month, the U.N. report said Afghan authorities are still torturing prisoners despite promises of reforms. The country's intelligence service earlier had denied any torture in its detention facilities. The U.N. report said more than half of the 635 detainees it had interviewed were tortured — about the same ratio found in its first report in 2011. It cited brutal tactics including hanging detainees from the ceiling by their wrists, beating them with cables and administering electric shocks. Many rights activists have expressed concern that such abuses could become more common as international forces draw down and the country's Western allies become less watchful over a government that so far has taken few concrete actions to reform the system. Abdul Qadir Adalatkhwa, head of the Afghan commission, told reporters that torture and beatings occur in the first stages of the arrest "but not while they are in prison." "There is no systematic torture in Afghan detention centers," he said. "We didn't identify any private prisons during our investigation." The Afghan panel also denied an allegation in the U.N. report that the Afghan government appeared to be trying to conceal the mistreatment by hiding detainees in secret locations during inspections by international observers. Associated Press writers Kim Gamel in Kabul, Sebastian Abbot in Islamabd, Riaz Khan in Peshawar, Pakistan, and Matiullah Achakzai in Chaman, Pakistan, contributed to this report.